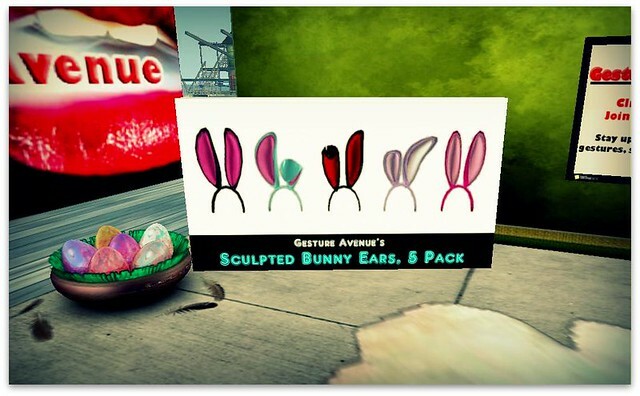 Easter is well on its way in Second Life, and to help celebrate, Cay Crystal Design has these sneakers out right now for 1L (next to her new releases which are only 10L each!). Moxie Polano has hidden an awesome present in this Easter egg. No worries, it’s not too hard to find 🙂 Unpack it and see, what’s inside, I won’t spoil the surprise and show it here.